Booking a meeting room this Winter? 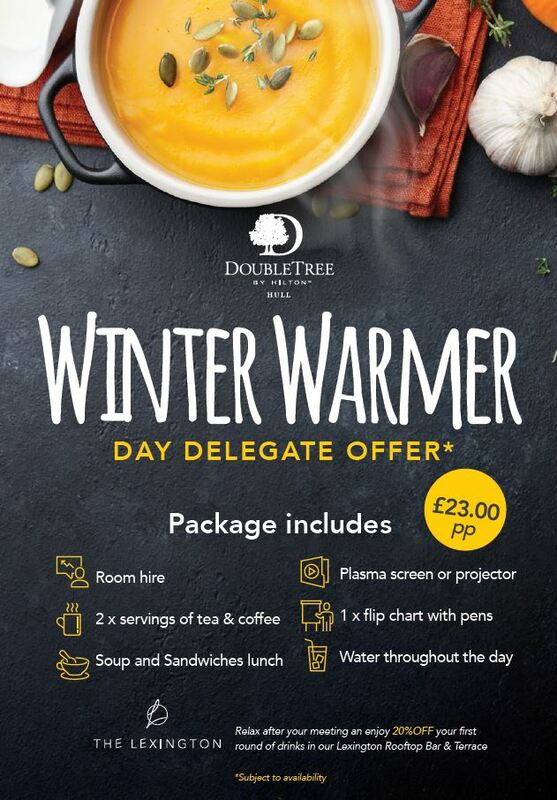 Stay out of the cold and take advantage of Good Travel Management and DoubleTree by Hilton Hull's, day delegate offer*. Contact your Business Travel Consultant for more information. Offer available in January and February 2019 – subject to availability. Offer is applicable for a minimum of 10 delegates.